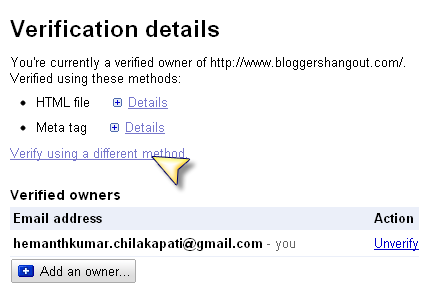 Bloggers hangout presents a simple way to add your site to google and verify blog or website in Google webmaster Tools. By doing this your site will be visible in the google search engine. 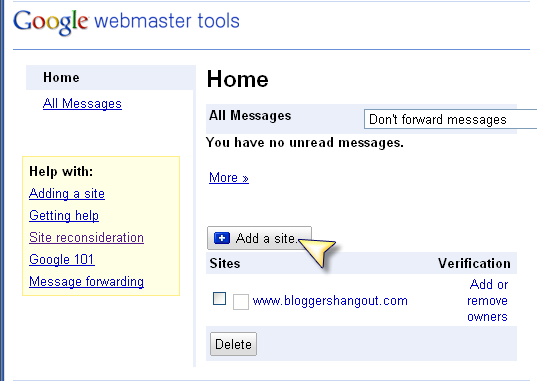 Step 1: Sign into your blogger account and move extreme down to "Tools and Resources" and click webmaster tools link. 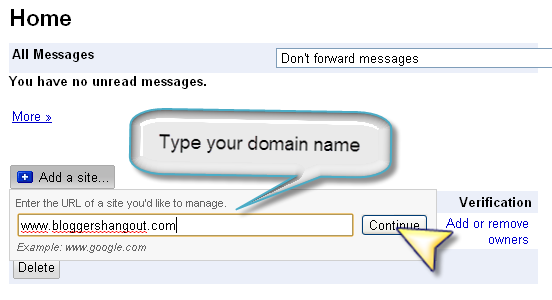 and add your site as www.yourdomainname.com. Step 3: You can see add or remove owners under verification to extreme right. Click add or remove owners link and you will be taken to verification details page. 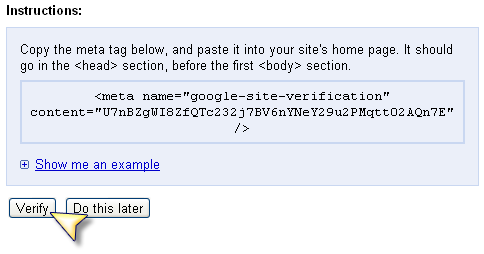 Step 5: Select Add a meta tag to your site's home page. After that you can see the instructions given below. You must copy meta tag in rectangular box and paste it into your site's or blog's home page. It must go into the head tag section. 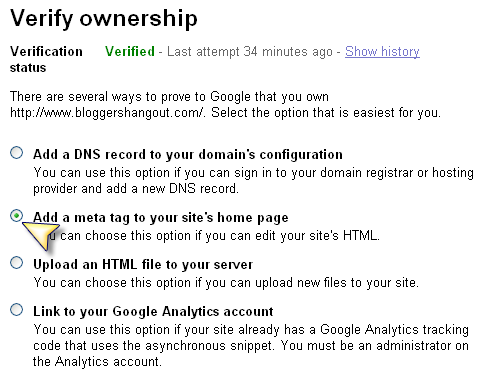 Step 6: Save the template and come back to verify ownership page and then click verify button. Thats it! 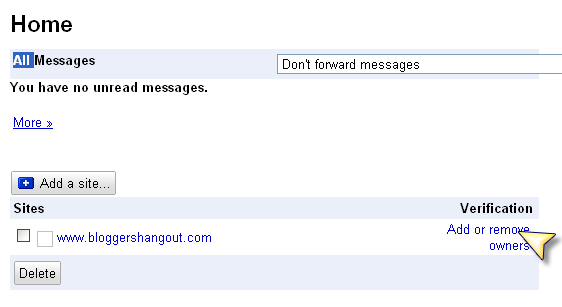 You have successfully completed adding a site to google and verifying ownership. If you have any doubt about adding a site and verification don't hesitate to comment.